The last Cross Country Surrey League race of the season is taking place this Saturday (2 March) at Lloyd Park in Croydon at 11am. The course is 5miles (two laps). All welcome. If you are interested to run or have any questions, just get in touch with Maria Cenalmor (via email). You can also join the XC facebook groups, details are available when logged in to the XC page or below. Less than a week to the next Surrey League Men’s Cross-Country match, Saturday 12th Jan, 2:30pm Oxshott Woods (Start is 1 minute walk from Oxshott National rail station Car Park KT22 0TA, £4 for parking – free parking is available elsewhere). Last match saw a record turnout and a sea of blurple can we repeat that? * Please note Ladies XC match 3 has been postponed until March. Well done to everyone taking part at the men’s cross country yesterday both runners and support crew. So many great pictures and as always great cakes (thanks Ann). At the start I knew we had a good turnout as I was surrounded by a sea of blurple. 34 men ran! (I believe) that is a new club record! It was also great that we had 6 men new to the XC team (although technically, one is someone returning from a long absence). Welcome Howell Jones, Matthew Cook, Harry Kim, Craig Bowdery, David Maher (welcome back) and Samuel Vassall (don’t forget to keep your number safe for the next XC match). Look forward to seeing you all, and some more new people!, at the next XC match – 3pm, 12th Jan Oxshott. In the first Surrey League cross country match we had 26 runners. Not quite 26.2 but the largest turnout of any club in division three. 5 runners (Tim B, Lorenzo, Dmitry, Graeme and James W) took part from the club who had never run in the league before. Our A Team got a credible 5th place (at the end of last year we were 6th) AND our newly discovered B Team got an impressive 2nd place (out of all other B Teams). The next XC match is a week on Saturday (more detail here), is it possible for us to improve on any of the above? If you are interested in taking part please let me (Mark Cannings) know. I will be around at track and club or can be contacted via Facebook. Cross country is open to everyone in the club (it is only around 5 miles for men, albeit a more challenging 5 miles than on the road). We have two cross country events that we are looking for members to take part in. The first is a very important call for volunteers to help host the next ladies XC event on 10th November in Nonsuch park. We then have the London XC championships on 17th November at Parliament hill. Your Cross Country team needs you! The cross country season is about to start! Please make sure you have the dates below in your diary! Cross country is open to everyone, so give it a try! The club competes in the Cross Country Surrey League. Ladies are in division two and men are in division four, and they run in different locations. The ladies times vary depending on the event. If you are interested or need more information, please ask Maria Cenalmor at secretary [ at ] 26point2.co [ dot ] uk or Mark Cannings. Both are normally at the club on Mondays. If you have access to Facebook, both Mark and Maria will also be glad to add you to the Cross Country Facebook messenger group. 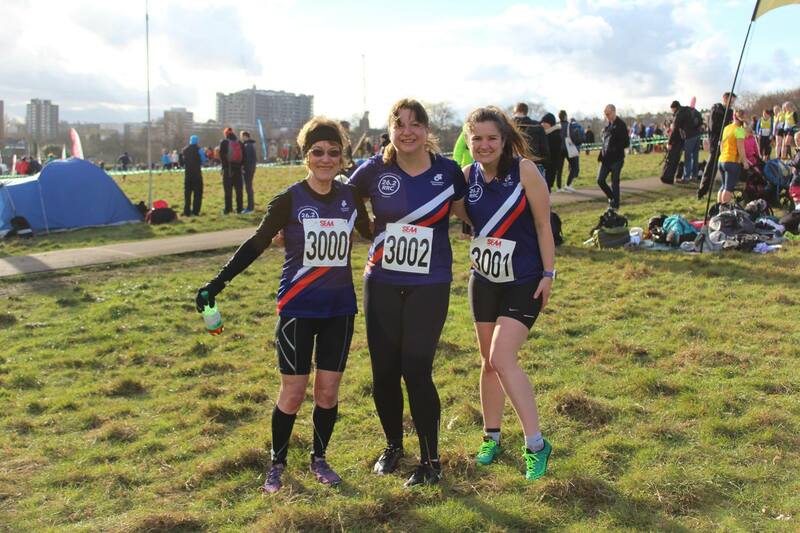 Finally, 26.2 RRC is hosting the ladies cross country match on 10 November. If you are not planning to run, please volunteer to help. Men: Roundshaw (Croydon Airport), 3pm, hosts Collingwood and Tamworth. Ladies: Putney Vale, 1pm, hosts Thames Hare & Hounds. Men: Epsom Downs 3pm, hosts West 4 Harriers, Epsom Oddballs, Holland Sports and Vets AC. Ladies: Nonsuch Park, Cheam, 11am, hosts 26.2 RRC. Men: Oxshott Woods, 2.30pm, hosts Elmbridge. Ladies: Happy Valley, Coulson, 1pm, hosts South London Harriers. Men: Lloyd Park, Croydon 12.30pm, hosts Vets AC and Holland Sports. Ladies: Richmond Park, Kingston end, 11am, hosts Kingston Poly and Fulham RC.